Ever wanted to start up the engine of an Aston Martin? You can now do so in the car-makers latest app to hit the iTunes App Store. Aston Martin ‘Explore’ delivers the latest in Aston Martin news, provides exclusive access to images and videos of the Aston Martin lineup and has a ton of other cool features. ‘Explore’ is available now for free in the iTunes App Store for the iPod Touch and iPhone. 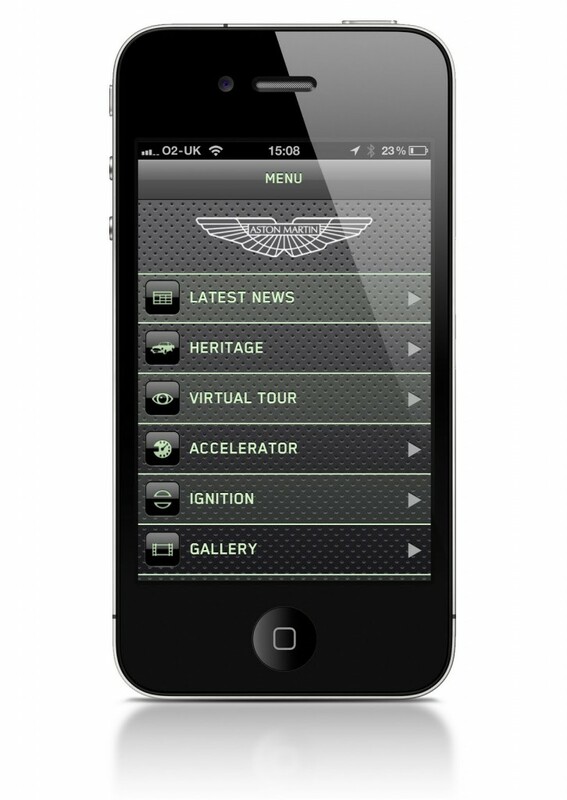 Aston Martin will also launch a version for the iPad and a premium Aston Martin ‘Experience’ app in early 2011. Check out some of the highlights below. Be the first to see exclusive Aston Martin videos and images featuring One-77, DBS, DB9, Rapide, V8 and V12 Vantage. Hear the evocative sounds of the iconic V12 and V8 engines. Explore the heritage of Aston Martin. Feel some of the Aston Martin magic, start the app with the in-car ignition sequence. Rev James Bond’s car of choice, the DBS by using your phone as an accelerator. Take an exclusive virtual tour inside Aston Martin’s global headquarters. Keep up-to date with Aston Martin on all social networks and follow live Twitter feeds from key events and endurance races around the world. Arrange a test drive and sign up to the Aston Martin newsletter. Next post: Rihanna To Design For Topshop?